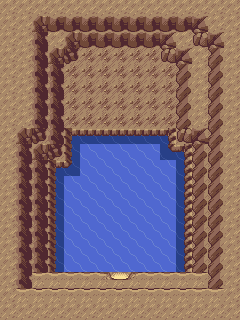 The Scorched Slab is a mysterious cave on Route 120. For unknown reasons, the only thing in this small cavern is TM 11, holding Sunny Day. Surprisingly, no one lives here.